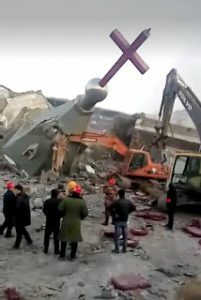 China (MNN) — One of the largest evangelical churches in China was completely demolished in a shocking government campaign on January 9th. Golden Lampstand Church in Shanxi Province has been around for nearly a decade with 50,000 congregants. But it wasn’t registered with the Chinese government. Then, last Tuesday, officers of the People’s Armed Police went to the Golden Lampstand Church and announced because it was an unregistered church building, it would be demolished. Although the Global Times, a Chinese state newspaper, says the church’s destruction was part of “a city-wide campaign to remove illegal buildings”, Communist China regularly seeks to restrict and regulate spiritual life in the country. The Communist Party views Christianity as a Western religion and, ultimately, a threat to its authority. A demolition crew stands in front of the bombed and demolished Golden Lampstand Church. Golden Lampstand Church was one of two churches demolished last week. The Chinese government has also removed crosses and steeples from church buildings. According to ChinaAid, new religious regulations will be established in China next month. 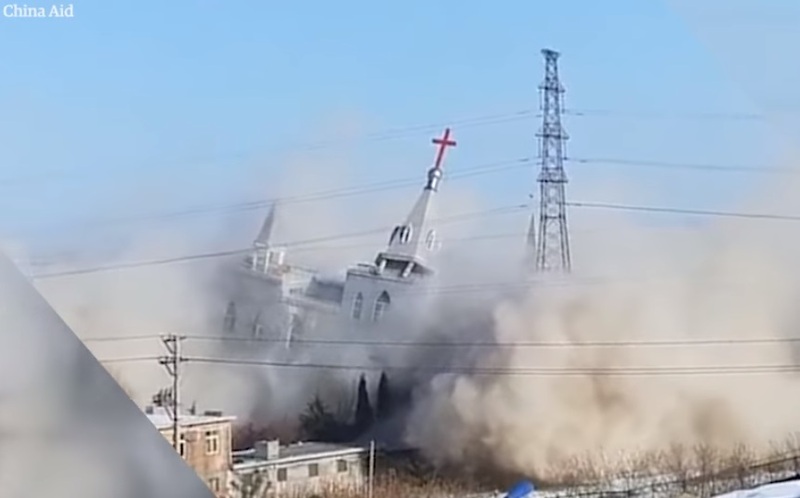 Many believers are worried this could lead to more church demolitions like this one. While some people may think the easy solution is just to register the unregistered churches, there are several reasons why churches avoid registering with the Chinese government. In fact, out of the estimated 60 million Christians in China, around half of them attend unregistered churches, according to The New York Times. Rhodes says it seems the strategy of the Chinese government is to isolate and control the Church. Part of that also includes controlling what the government calls “foreign influence”, meaning missionaries. Nevertheless, Voice of the Martyrs Canada serves as a connection point between believers in China and the global Church. If you’d like to support Voice of the Marytrs Canada’s ministry, click here. 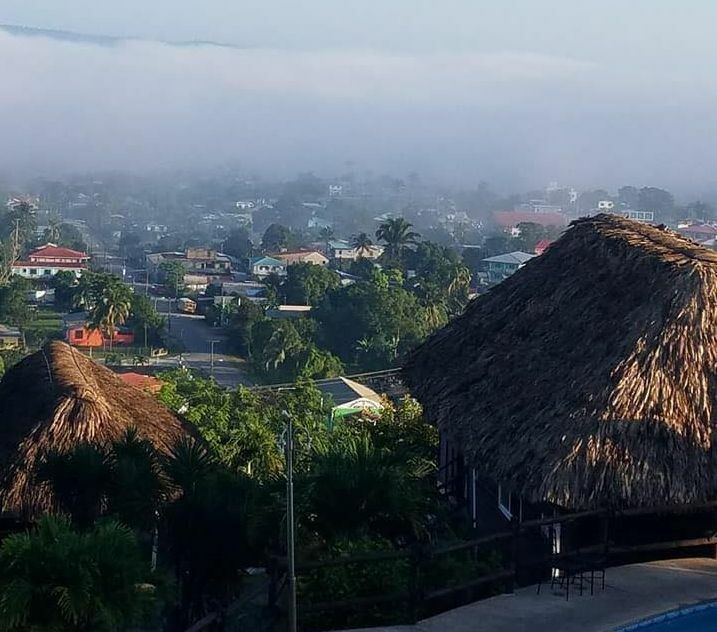 Often when religious freedoms are violated and persecution situations spotlighted, Christians are quick to jump to advocacy and justice for those wronged. Rhodes says, “There have been calls for Christians to voice their concern or even in some cases their outrage over the fact that a government is destroying a church. And I agree, there is a time and place for Christians in Canada to write their local MPs, to write Chinese embassies, to write government officials and to advocate for Chinese Christians that are being persecuted. “But I want to put a different spin on it. I want to say that maybe we should also take time to rejoice that the Chinese Church has been found worthy to suffer for Christ. In light of this reflection, please pray with the Church in China. Pray for the 50,000 Chinese believers who just lost their church building, that they would be spiritually encouraged. Rejoice with the Chinese Church that they have been counted worthy to suffer for the name of Jesus. 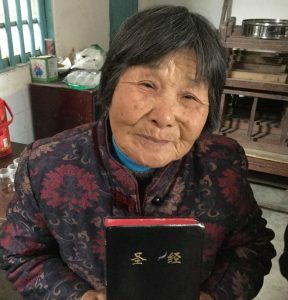 Support the persecuted Church in China by giving to VOM Canada's ministry connecting them with resources.